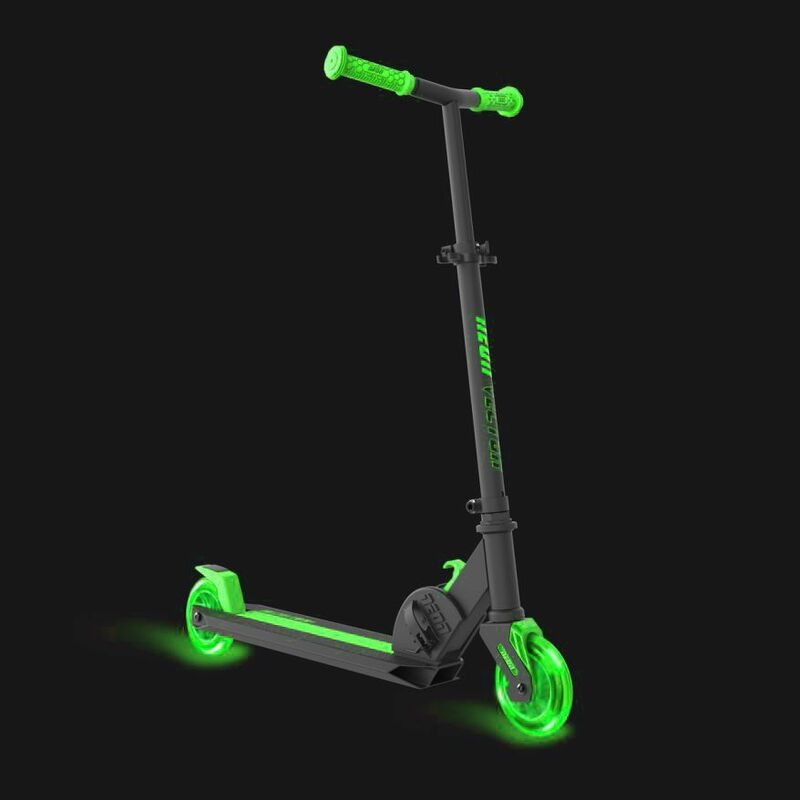 Neon Viper is a stealth scooter that’s packed with LED lights for cruising after dark. 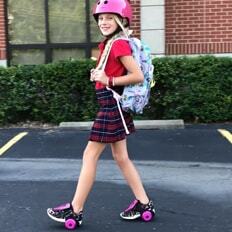 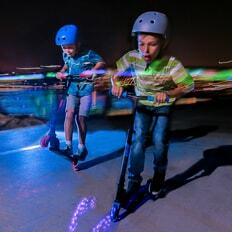 The vibrant deck lights are sure to turn heads, whether you’re pulling tricks or pulling up at the school gates. 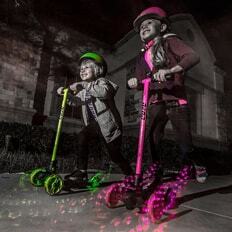 Be the centre of attention with the cool light-up Neon Viper scooter! 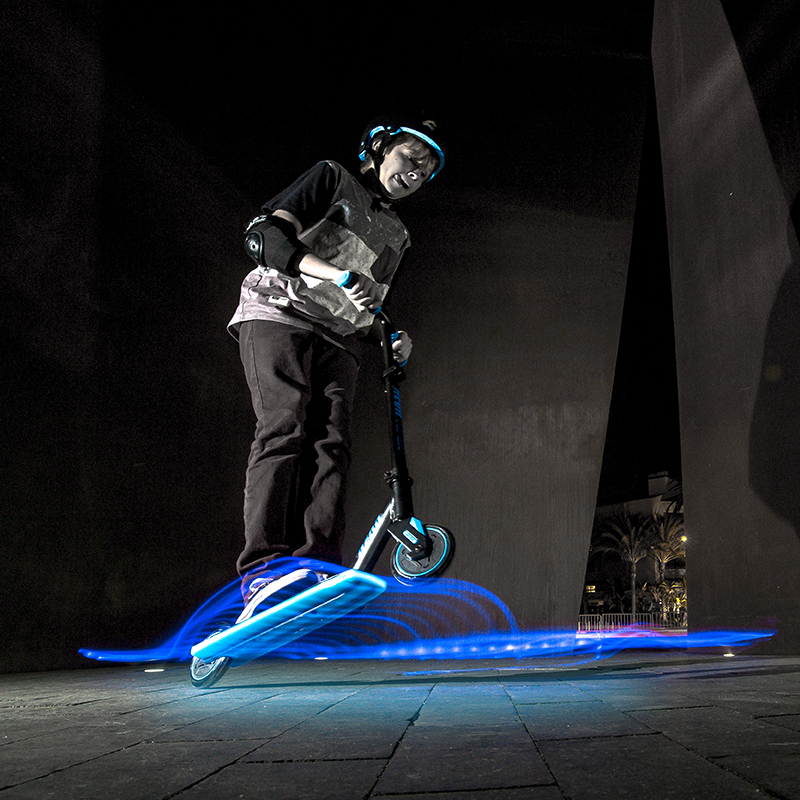 Bright LED lights strapped under the deck illuminate your ride and are sure to turn heads wherever you go. 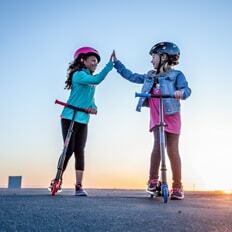 The strong lightweight performance frame, stable grip deck, smooth rolling wheels and quick-stop rear brake make this a whole lotta fun packed into one of the coolest rides on the planet.